Tchaikovski. Serenade for strings. Seiji Ozawa. Born in 1935 in Shenyang, China, to Japanese parents, Seiji Ozawa started piano lessons at an early age. After graduating from Seijo Junior High School in Tokyo, he studied conducting under the late Hideo Saito at Toho School of Music, graduating with first prizes in composition and conducting. In 1959 he won first prize at the International Competition of Orchestra Conductors held in Besançon, France, and was invited to Tanglewood by Charles Münch, then Music Director of the Boston Symphony Orchestra and a judge at the competition. In 1960 Ozawa won the Tanglewood Music Center's highest honour, the Koussevitzky Prize for outstanding student conductor. While a student of Herbert von Karajan in West Berlin, Ozawa came to the attention of Leonard Bernstein and was appointed Assistant Conductor of the New York Philharmonic for the 1961-62 season. 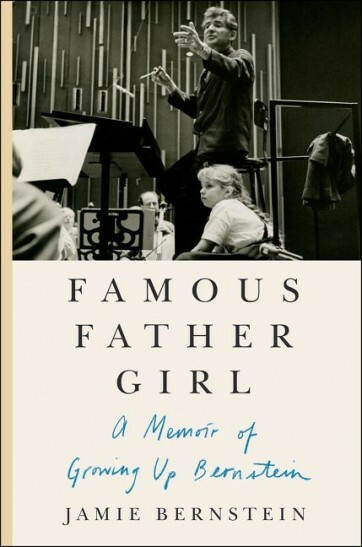 In 1964 he became Music Director of the Chicago Symphony Orchestra's Ravinia Festival, a position he held for five summers, and in the same year he took the post of Music Director of the Toronto Symphony Orchestra for four seasons. After his conducting experience with the Boston Symphony for four summers at the Tanglewood Festival, Ozawa conducted the orchestra at Symphony Hall for the first time in January 1968. In 1970 he became Artistic Director of the Tanglewood Festival, and in December of the same year he took the post of Conductor and Music Director of the San Francisco Symphony. He retired from his San Francisco post in the spring of 1976, but returned later in the 1976/77 season, as Music Advisor. In 1973 he became the 13th Music Director of the Boston Symphony Orchestra. Ozawa held his post as Music Director for 29 years, an incredibly long period in the history of American orchestras. Over those years the orchestra’s reputation rose considerably, not only within the United States but internationally, making it one of the top orchestras in the world. In 1978 Ozawa was officially invited by the Chinese government to work with a Chinese orchestra for a week. A year later, in March 1979, Ozawa visited China again, this time with the Boston Symphony Orchestra. In addition to the orchestra performances, he facilitated important cultural and musical exchanges through discussions and teaching sessions with Chinese musicians. His operatic credits include several well-received appearances at La Scala, and l'Opéra National de Paris, among others. In 1983 he conducted the widely acclaimed world premiere of Olivier Messiaen's only opera, Saint Francois d'Assise, at l'Opéra National de Paris. In autumn of 2002, Ozawa assumed the post of Music Director of the Wiener Staatsoper. Preceding this appointment, on 1st January 2002, Ozawa became the first Japanese conductor in history to appear on the podium for the Wiener Philharmoniker's New Year Concert. This concert was broadcast in 65 countries, garnering acclaim from audiences around the world. The live recording was immediately released and achieved phenomenal sales, receiving a Platinum Disk Award in the Orchestra's home country of Austria, and a Classic of the Year Award at the 16th Nihon Gold Disk Award in Japan. Upon the Japan tour of the Wiener Staatsoper in October 2004, Ozawa conducted Don Giovanni and Le Nozze di Figaro, which were both received with great acclaim. Ozawa also enjoys a great reputation and popularity in Europe; he regularly conducts orchestras there, including the Berlin Philharmoniker, and has often led tours with the Wiener Philharmoniker within Europe and to Japan. In 1984, Seiji Ozawa and Kazuyoshi Akiyama formed an orchestra to commemorate the late Japanese music educator, Hideo Saito. This orchestra, the Saito Kinen Orchestra, officially commenced its activities in 1987, and in 1992 became the cornerstone of Ozawa's artistic dream to found Japan's first international music festival: the Saito Kinen Festival Matsumoto, in Matsumoto City. The festival, which has been held every September since its inception in 1992, has drawn the enthusiastic attention of the music world both at home and abroad. As of year 2015, the festival was renamed the Seiji Ozawa Matsumoto Festival (OMF), to mark a new stage. By involving Seiji Ozawa Music Academy Orchestra, the OMF aims to enrich the educational program and offer wider opportunities for the youth to interact with the music. In 1998 Seiji Ozawa and the Saito Kinen Orchestra joined forces with l'Opéra National de Paris to produce Francis Poulenc's Dialogues des Carmélites at the festival, and then mounted the same production at l'Opéra National de Paris in November 1999. In the same year at the festival, with director Robert Lepage, Berlioz's Opera La Damnation de Faust was presented and highly praised. In December 1999 and January 2000, Ozawa conducted the Saito Kinen Orchestra in resoundingly well-received performances of Mahler's Resurrection Symphony in Matsumoto and Tokyo, brilliantly captured on a live audio recording which received the Japan Record Academy Award. In May 2004, Ozawa led the Saito Kinen Orchestra on a highly successful European Tour, performing in six cities throughout Europe (Valencia, Berlin, Vienna, Paris, London, and Milan). In 2004, they gave a sensational performance of Wozzeck with Ozawa conducting, Peter Mussbach as director, and architect Tadao Ando as set designer, for the opening of the newly-built Matsumoto Performing Arts Centre. In 2005, Ozawa conducted them in a semi-staged Gurrelieder, as well as a performance for Matsumoto City junior high school students of Le Nozze di Figaro, in collaboration with Mr. Kazuyoshi Kushida, director and General Manager of the Matsumoto Performing Arts Centre. In 2006, a fully-staged performance of Elias was presented and received with high acclaim. The live recording of Shostakovich’s 5th Symphony performed in the same year received the Best Recording Award in the classical music category (for Japanese artists) of the 20th Music Pen Club Music Award. In 2007, the festival presented an opera for the first time in three years; Tchaikovsky’s The Queen of Spades. The Saito Kinen Orchestra performed, with soprano Renée Fleming, a world premier of a work by French composer Henri Dutilleux, commissioned by SKF, Boston Symphony Orchestra, and Orchestre National de France. Guest conductor Junichi Hirokami conducted Rachmaninoff’s Symphony No. 2. The 2008 festival was very well-received, presenting the second Janáč ek opera since 2001’s Jenůfa, a co-production with Teatro del Maggio Musicale Fiorentino of The Cunning Little Vixen, as well as an orchestra concert that featured Mahler’s 1st Symphony (“Titan”) among other pieces. Seiji Ozawa's achievements have earned him an Honorary Doctorate from Harvard University (2000), membership in the Académie des Beaux-Arts de l'Institut de France (October 2001), and in November 2001, recognition from Japan for his outstanding cultural contributions to the country. He received the Austrian Cross of Honour for Science and Art, First Class, from Austrian President Thomas Klestil (2002), the Mainichi Art Award and Suntory Music Prize (2003), an Honorary Doctorate from the Sorbonne University of France (March 2004), Honorary Membership from the Wiener Staatsoper (November 2007), France’s esteemed honor, Officier de la Légion d'Honneur (2008) and was named “Music Personality of the Year” of 2007/08 season by the Syndicat de la critique Theatre, Musique et Danse. In 2008 he became Foreign Associated Member in the Académie des Beaux-Arts de l'Institut de France. The same year, the Emperor decorated him with the Order of Culture, the highest honour in Japan. The year 2000 marked the beginning of the "Seiji Ozawa Ongaku-juku Opera Project" designed as an educational program for young musicians. Its productions of Mozart's Le Nozze di Figaro, Così fan tutte, Don Giovanni, J. Strauss II' s Die Fledermaus (presented twice; once in 2003 and once in 2008), Puccini’s La Bohème, and Rossini’s Il Barbiere di Siviglia, plus the orchestra performance of Mahler’s Symphony No. 2 in 2006, and Bizet’s Carmen in 2007, have received popular attention from audiences and critics impressed by the progress shown by the young musicians. Seiji Ozawa Ongaku-juku toured China in 2005 and their opera and concert performances were very well received by the Chinese public. Ozawa has been particularly focused on education, holding chamber music study group sessions over the years in Okushiga (Japan) with a focus on the string quartet. In 2005, he founded the Seiji Ozawa International Academy Switzerland aimed towards European music students and in 2011 he created the Ozawa International Chamber Music Academy Okushiga, Asia, to provide an opportunity to outstanding musicians from other countries in the region. In addition to these projects, Seiji Ozawa continues to perform on a regular basis with the New Japan Philharmonic, an orchestra with which he has worked closely since its founding; and also with the Mito Chamber Orchestra as Advisor. Ozawa has been bestowed many honors in Japan and abroad, including: the Austrian Cross of Honour for Science and Art, First Class (2002); Officier de la Legion d'Honneur (2008); Foreign Associated Member in the Academie des Beaux-Arts de l'Institut de France (2008); the Order of Culture, which is the highest honor in Japan (2008); the Giglio D'Oro by Premio Galileo 2000 Foundation of Italy (2008); and honorary membership to the Vienna Philharmonic (2010). In 2016, Maestro Seiji Ozawa received a Kennedy Center Honors for his lifetime contribution to American culture through the performing arts. “The Kennedy Center Honors recognizes the extraordinary and unparalleled talents of individuals whose impact and genius have left an indelible mark on civilization...Seiji Ozawa’s artistic leadership as a conductor has set a new standard for orchestras around the world,” stated Kennedy Center Chairman David M. Rubenstein.